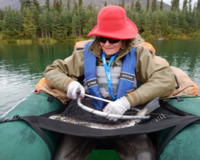 ​ Our late August trip to the fabulous fishing at the catch and release float tube lake at Adventure Denali near Denali National Park was a real hoot! 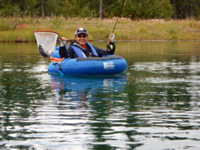 Everyone loves the float tubes, and Chavey Lake, and its two other companion lakes, are the perfect place for them. 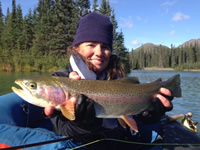 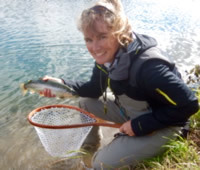 Whether the rainbows are large or small, everyone gets a big kick out of paddling around with a fish at the end of their fly line.